Morgan’s range of premium blends are the perfect addition for crafting your next brew. 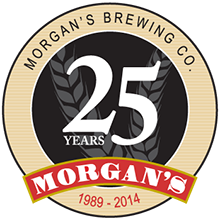 The Morgan’s range of premium blends are perfect for all popular beer styles. Ready for you to craft your very own boutique beer at home. 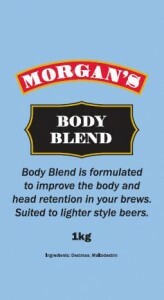 Morgan’s Body Blend is formulated to improve the body and head retention in your brews. Specifically blended from both fermentable and unfermentable sugars. 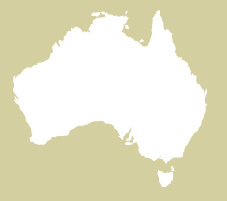 Follow the regular instructions on the beer kit and use in place of standard white sugar. Morgan’s Booster Blend for improved head retention, mouth feel and body. 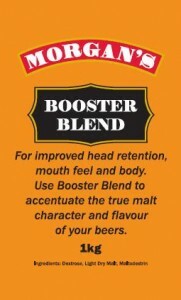 Use Morgan’s Booster Blend to accentuate the true malt character and flavour of your beers. Specially blended from both fermentable and unfermentable sugars. 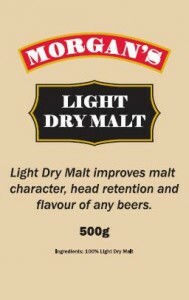 Morgan’s Ultra Blend promotes a creamier head, improves mouth feel, body and malt flavour. Specially blended from both fermentable and unfermentable sugars. Use Morgan’s Dextrose in place of regular sugar to avoid the sharp cider characters produced by white sugar.